Apps serve many purposes and one of those purposes is to keep our teen drivers safe. Passing the driver’s exam is a major rite of passage for millions of teenagers across the nation. Getting a license is a sign of freedom, self-reliance, and the ability to hit the open road. But, as they will learn, it also means more responsibility and also comes with more risks. 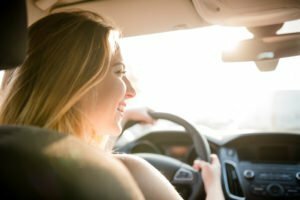 As a parent, you want to make sure that your teen stays safe on the road and new technology makes it easier than ever. Here are examples of the kinds of apps that will help your teen stay safe on the road. Where to find these apps? Depending on your phone, you can either find them on the App Store (Apple) or the Play Store (Android). You can tell how good the apps are by the reviews the app has received. One of the biggest worries for parents is that their teen will turn into a real Danny Zuko and rebel. The plan is that they’ll go to school, work, and a friend’s house as scheduled. But occasionally, a diversion can occur and knowing their whereabouts can alleviate concerns. Are they being safe drivers? The biggest threat to a teenager’s life is a traffic accident. Being able to gauge how well they drive when you’re not with them is important so you know how strict you have to be. Some tough love may be good for them every once in a while. Any car ride–no matter the age of the driver–can lead to an unfortunate accident. For car accidents, you’ll want to have a quality auto insurance policy in place. To get the coverage you need to be protected post-accident, contact Pierce Insurance Group in McKinney, Texas today.